We’d love your help. Let us know what’s wrong with this preview of Prisoner of Ice and Snow by Ruth Lauren. But that's exactly where she wants to be. For her sister was sent there too, and Valor embarks on an e Valor is under arrest for the attempted murder of the crown prince. Her parents are outcasts from the royal court, her sister is banished for theft of a national treasure, and now Valor has been sentenced to life imprisonment at Demidova, a prison built from stone and ice. To ask other readers questions about Prisoner of Ice and Snow, please sign up. Would this book be interesting to a 13 to 14 year old girl? Michele I would consider 10 and up. My 4th and 5th graders are reading much stronger stuff than this. I plan on purchasing this for my school library. "In a thrilling fantasy that’s equal parts Prison Break and Frozen ..."
I was gifted an ebook via Netgalley. I must have missed that the MC is 13 yr old in the beginning of the book, but that definitely makes more sense at the maturity of the story - not in terms of things happening in the book, but how it was written. It's not a lighthearted, quirky read. It's much more an atmospheric, dark read and I really enjoyed it. The Russia-like fantasy setting with the sisterhood and friendship made for such a great story. I really loved Valor and her determination to save h I was gifted an ebook via Netgalley. 5 Words: Family, power, imprisonment, survival, betrayal. It's an excellent adventure that will make you feel COLD. I definitely think it sits at the higher end of MG, younger end of teen, as it gets a bit grim. This book was a pure delight from start to finish. I loved it. I read the entire thing completely riveted and felt like I couldn't turn the pages fast enough. I loved the main character, her bravery and resoluteness, and her bond with her sister. I loved the humour. I loved the unique world that was vivid, elaborate, and both cold and beautiful. I loved loved loved that pretty much every position of authority and power throughout the book was held by a woman. So many complex female characters--go This book was a pure delight from start to finish. I loved it. I read the entire thing completely riveted and felt like I couldn't turn the pages fast enough. I loved the main character, her bravery and resoluteness, and her bond with her sister. I loved the humour. I loved the unique world that was vivid, elaborate, and both cold and beautiful. I loved loved loved that pretty much every position of authority and power throughout the book was held by a woman. So many complex female characters--good ones and evil. Although the plot and world are completely different, PRISONER OF ICE AND SNOW reminded me a lot of ELLA ENCHANTED, which is one of my favourite books. Both books are quick, easy, riveting reads, full of adventure and humour, with intelligent and brave female main characters who risk everything to try to save someone they care about. MG fantasy that has echoes of Brave and Frozen. More character-driven rather than plot but fun. This book is like a mash up of Six of Crows and Prison Break! Such a strange mix of things that I would never of thought I would use to describe the same book. I feel like the atmosphere and way of writing was more intense than I first expected with this being advertised as a middle grade story and that was really great. I've seen a few others compare it to Disney's Frozen which I was a little put off by, but I went into it anyway to see for myself as I like to gather my own opinions. I am glad This book is like a mash up of Six of Crows and Prison Break! Such a strange mix of things that I would never of thought I would use to describe the same book. I feel like the atmosphere and way of writing was more intense than I first expected with this being advertised as a middle grade story and that was really great. I've seen a few others compare it to Disney's Frozen which I was a little put off by, but I went into it anyway to see for myself as I like to gather my own opinions. I am glad I didn't let it persuade me not to read this as I didn't get the link or feel like it was like frozen at all. It seemed much darker in tone and the only aspects that resembled Frozen in my eyes were the setting and the fact that the main character is trying to help her sister. So don't the fact that this book has been compared to frozen let it put you off. The book follows Valor and her attempt at the impossible quest of breaking her sister out of prison by getting arrested herself. The humour and the main group of characters in particular really reminded me of Six of Crows. It's amazing that the author was able to bring all these things together to create a brilliant concept that is a perfect fantasy. The sister relationship we see was brilliant as well and I adored that it was sort of the focus of this book in a way. Often things are wrapped in cotton wool when it comes to middle grade so the fact that some of the plot twists were so dark and twisty, really made this book stand apart from others I have read. I was a little apprehensive first going into this because I tend to stick to the YA, NA and Adult genres but the concept of this really intrigued me so I had to dive into it and give it a go. I am very glad that I did because it was very enjoyable and a very quick read for anyone looking for a fantasy/adventure story that is easy to get into and that has characters you will no doubt fall in love with. Other than the Six of Crows and Prison Break vibe I think that the plot was quite original and not very predictable which was very nice. I feel like the ending and a few of the aspects introduced later in the book are definitely hinting at a sequel, which I do hope is the case as I would pick it up because I would love to see more from these characters and this world. The main problem I had was with the last few chapters of the book and the way some things were just thrown in at the end. It really seemed rushed compared to the progression and development we see throughout the beginning and middle sections. Overall I have decided to give this book 4/5 stars as I very much enjoyed it and would recommend it. Thank you to Ruth Lauren, Bloomsbury Children's Books and Net Galley for sending me a digital copy in exchange of an honest review. Prisoner of Ice and Snow throws us right in at the deep end. From the very first pages we are in the thick of the main plot and it took me a few chapters to fully understand and realise what was going on. Maybe that’s the YA fantasy reader in me though who is used to chapters of world building at the beginning of the books I read, so that isn’t a criticism by any means. Valor, our leading lady, willingly commits a crime in order to get herself sent to the same prison as Sasha, her twin sister. Th Prisoner of Ice and Snow throws us right in at the deep end. From the very first pages we are in the thick of the main plot and it took me a few chapters to fully understand and realise what was going on. Maybe that’s the YA fantasy reader in me though who is used to chapters of world building at the beginning of the books I read, so that isn’t a criticism by any means. Valor, our leading lady, willingly commits a crime in order to get herself sent to the same prison as Sasha, her twin sister. The prison itself is horrible and that goes to show how great a sacrifice Valor has made for her sister. I really loved that this book was about sisters because it made me think of my own and I know that I would also do anything to protect or help my own sister. I think many young readers will also admire Valor for her bravery and courage, definitely two traits that I was really pleased to see represented by a female character in middle grade literature. The plot was interesting with the right amount of twists and turns along the way but I found that the pace was quite on/off. Some chapters felt full of action and others seemed a lot slower. I didn’t know when reading this that it is the first book in a series and so I was disappointed with the ending. Knowing now that it is a series I think the ending makes more sense but it still frustrated me slightly as it felt very rushed. It has certainly left itself open for plenty more action in the next book though and I’m sure younger readers will audibly gasp at the last couple of paragraphs. As far as characters go there wasn’t enough detail for me. I felt like I got to know Valor quite well but I really wanted more depth to the other characters she befriends along the way. There’s a fab selection of characters and I really wanted to get to know more about them, maybe that will come in book two. Valor is a character I can imagine a lot of young readers really liking, especially young girls who may feel inspired by her courage and bravery. She does make some decisions that are really not very well thought through and at times she was a bit unlikeable to me but that’s just my own opinion. Overall I thought this was a good book with an interesting plot, plenty of action and a nice selection of characters. I’m sure younger readers will enjoy this quick fantasy, especially any sisters out there. I loved this book right from the start -- the quick foreshadowing of the events to come pulled me right in and didn't let me go, as questions upon questions accumulated, straight through until the exciting, satisfying, though still incomplete, conclusion. The characters are interesting and diverse, and I never knew who to trust and who not to trust. I speculated, guessed, reassessed, and second-guessed throughout. So many questions are still left open. (view spoiler)[Why is Katia shaking her hea I loved this book right from the start -- the quick foreshadowing of the events to come pulled me right in and didn't let me go, as questions upon questions accumulated, straight through until the exciting, satisfying, though still incomplete, conclusion. I can't wait to read the next installment to find out what will happen next to Valor, Sasha, Feliks, Katia, Anatol, and friends. I received a copy of this book from Bloomsbury USA Children's Books via NetGalley in exchange for an honest review. This is a fun, quick MG fantasy read. Valor gets herself arrested and sent to her kingdom's prison for children in order to rescue her twin sister who was arrested for theft of an important object needed by the royal family to complete a peace treaty. In the prison Valor has to learn who to trust and how to survive to complete her plan. This is a plot centric story and moves very fast. As a result, the characterization isn't terribly in depth or surprising, but there is a strong group of young t This is a fun, quick MG fantasy read. Valor gets herself arrested and sent to her kingdom's prison for children in order to rescue her twin sister who was arrested for theft of an important object needed by the royal family to complete a peace treaty. In the prison Valor has to learn who to trust and how to survive to complete her plan. This is a plot centric story and moves very fast. As a result, the characterization isn't terribly in depth or surprising, but there is a strong group of young teens working together and forming bonds. I think this works really well as a book to give MG readers who are flirting with fantasy and want to try it out. It is not too long. I was under the impression that this was a stand alone and was really excited to have a MG stand alone fantasy on the shorter side. But alas, the ending clearly sets up a sequel so that isn't the case. Still. It's a good addition to any upper elementary/middle school library. I loved this gorgeously-written, plucky, warm-hearted and fabulously satisfying book. When 13-year-old Valor's sweet twin sister is convicted of an incomprehensible crime - the theft of a diplomatically-important music box - Valor contrives to be imprisoned alongside her in a dreaded snowy fortress. Her plan: to break them both out, and to prove her sister's innocence, if she can. Only brutal guards, scheming royalty and a frozen forest full of wolves stand in her way! PRISONER OF ICE AND SNOW is I loved this gorgeously-written, plucky, warm-hearted and fabulously satisfying book. When Valor’s twin sister Sasha is tried and convicted for stealing Queen Ana’s invaluable music box, she is sentenced to life imprisonment at Tyur’ma. In order to help Sasha escape, Valor attempts to kill Prince Awatol so she can join Sasha at Tyur’ma and engineer an escape for them both. Tyur’ma is heavily guarded, isolated, and no one has ever escaped alive. As Valor puts together a plan, a ragtag group of prisoners bands with her. But in a prison of deception and lies, is Valor wise to trust When Valor’s twin sister Sasha is tried and convicted for stealing Queen Ana’s invaluable music box, she is sentenced to life imprisonment at Tyur’ma. In order to help Sasha escape, Valor attempts to kill Prince Awatol so she can join Sasha at Tyur’ma and engineer an escape for them both. Tyur’ma is heavily guarded, isolated, and no one has ever escaped alive. As Valor puts together a plan, a ragtag group of prisoners bands with her. But in a prison of deception and lies, is Valor wise to trust anyone at all? Author Ruth Lauren builds her story with skill and exquisite detail. The prose sings out and draws readers in with an intriguing plot and characters bursting with conviction. A terrific middle grade read. This is a pretty good read about a young girl who must save her sister and help her escape from prison and save her home from a corrupt Princess who plans to bring the young girl's Kingdom in where she lives to ruin . Will she succeed? Read this for yourself and find out. This was an awesome action-packed YA middle grade fantasy novel. If you like these types of novels, definitely check this out for yourself. It's available at your local library and wherever books are sold. In the vivid and action-packed world of PRISONER OF ICE AND SNOW, The stakes are high and the plot boasts a sisterly bond that is both powerful and sweet. This book was so fun! It was light-hearted enough that it filled me with warmth, but there was enough action to keep me rooted to the story. It's definitely a great mix for Middle Grade readers. There was constant pressure on Valor because she's in prison, and needs to bust out. She's clever and quick, but not overly so that she jumps into Mary In the vivid and action-packed world of PRISONER OF ICE AND SNOW, The stakes are high and the plot boasts a sisterly bond that is both powerful and sweet. There was constant pressure on Valor because she's in prison, and needs to bust out. She's clever and quick, but not overly so that she jumps into Mary Sue territory. A great heroine. And the relationship with her sister is the driving force of this novel and the conflict, and it really works. You can clearly see the bond between her and Sasha. They're different in their strengths, but still work together well. Also, I really didn't expect the twist in the middle, which is great, because I'm rarely caught by surprise. I did feel like the (view spoiler)[Anastasia (hide spoiler)] thing came out of nowhere, but otherwise, it felt really organic. My only problems with this novel is firstly, (view spoiler)[their escape was too easy. You're telling me no one in Tyur'ma's history ever thought to check that grate in the kitchen (hide spoiler)]? Secondly, the lack of character description. Natalia, who is an important character, isn't given much description beyond her height. I kind of just headcanoned most of the characters' appearances because there wasn't anything to go on in the text. WILL I READ ON? Absolutely! I received a copy of this book in exchange for an honest review. The blurb for this immediately caught my attention as it sounded so unique - a mixture of Frozen and Prison Break in a middle-grade fantasy setting. Valor, as a character, is rather unusual in that she wants to get arrested. Sister Sasha is already locked up in Demidova's prison for criminal children, and Valor intends to break her out from the inside. The story itself has a great set of female characters. Valor is a great role mode I received a copy of this book in exchange for an honest review. The blurb for this immediately caught my attention as it sounded so unique - a mixture of Frozen and Prison Break in a middle-grade fantasy setting. Valor, as a character, is rather unusual in that she wants to get arrested. Sister Sasha is already locked up in Demidova's prison for criminal children, and Valor intends to break her out from the inside. The story itself has a great set of female characters. Valor is a great role model for girls - she's intelligent and independant, and her interaction with the other prisoners is great. The fact that Valor is prepared to get herself arrested in order to break her sister out of prison (and just by commiting a small crime either!) proves how tough she is. I wish when I was growing up their were more female heros like Valor. I think the 'Frozen' linked theme here is the sisterly bond between the two girls, which is very much apparent throughout the whole of the novel. If anything, it's the other characters that are somewhat lacking in depth - a common issue in most middle grade novels, as the writing is more heavily biased towards plot development. This book, you guys. This book is so good. The world-building alone is incredible, but add in fast-paced action, a fiercely independent heroine that you can't help falling for on the first page, and enough intrigue to keep you up reading all night, and well . . . just trust me on this one. It's SO GOOD. Love this book! Sisters, escape plans, survival, and adventure, all in this beautifully written debut fantasy. This is a really lovely read. At 288 pages it's a short and quick with a focus on sisterhood, friendships and the ties of family. The only thing that really confuses me is why this one is billed as 'equal parts Prison Break and Frozen'. I can see the Prison Break aspect, obviously, but there's no Snow Queen or mystical magical powers in this one at all. Valor and her twin sister, Sasha are thirteen years old and their parents are in service to the royal family; their mother the 'First Huntswoman' and their father the royal political adviser. When Sasha is imprisoned in Tyur'ma, a children's prison of ice and snow, Valor is determined to rescue her and from the very first chapter we are thrown into the fast paced action that doesn't let up throughout all of the twists and turns. Valor is a daring and courageous heroine who puts it all on the line for her sister and I couldn't help but be drawn in and I found myself rooting for her from the start. The friendships formed in this are great to see and the fact that there was no romance was actually a relief for me, especially considering the young ages of most of the characters and it was just really nice to see a focus on platonic relationships. The writing was simple and easy to read and yet it wove a beautiful Russian inspired fantasy world that didn't shy away from politics and betrayals. I loved that you could clearly see that the world was so well thought out - from the history to the geography to the food and the clothes. My favourite aspect of this book would have to be the matriarchal society and the bending of gender tropes - the country is ruled by a Queen and the next in line for the throne is her daughter rather than her eldest, a son. The twins' mother is the hunts-woman and their father the historian and adviser. There are women in every role - from the head of the prison, to doctors, to guards and it's a great representation to give to readers, especially younger readers. Prisoner of Ice and Snow is a fantastic book for children aged around 8-11. Firstly, it is well written so that it models good writing for children. I loved the settings and the way in which Ruth Lauren portrays the cold and bleakness of the prison so magnificently, to the extent that it almost made me shiver. However, it is the exciting plot, great characterisation and the mean With a peacekeeping musical box stolen from the palace, Valor wants to prove her sister Sacha is innocent of the crime. So I started this book yesterday and enjoyed Valor's voice and determination enough to keep reading. Plus I liked the writing style and the world seemed as interesting as the characters... but when Valor actually goes to prison (for a flimsy reason, if you ask me) I started to lose interest... And I worked out who the thief really was pretty early on, which was a bummer! But the worst thing was when I found out this isn't a stand-alone! I was SO hoping it was. For once I thought I might ac Okay. This was such a beautiful story. I loved it from the first page to the last. I can't wait until the next installment comes out, and I sure hope for many more books to follow. Quite enjoyes this middle grade fantasy - tho it's middle grade in the same way Tamora Pierce is (which is to say the characters all acted mature and dealt with political and personal matters most teenagers would have issues dealing with capably). Valor and Sasha's relationship drove this for me. The two of them clearly trusted each other and would do anything for the other. It put some of the other characters at a disadvantage I think. Feliks and Katia, while obviously close friends of Valor's, Quite enjoyes this middle grade fantasy - tho it's middle grade in the same way Tamora Pierce is (which is to say the characters all acted mature and dealt with political and personal matters most teenagers would have issues dealing with capably). Feliks and Katia, while obviously close friends of Valor's, did not rank the same. For Valor there was one goal - save her sister. Uncovering a deeper, treasonous plot, was just icing on the cake. This could have been a decent stand alone if the fact the Princess Anastasia was so obvious and with so little believable motivation. I did trust that she meant neither Sasha nor Valor actual harm, but if they came to it while interfering with her plan...complications happen. Zum Cover: Es ist sehr treffsicher gezeichnet und wundervoll koloriert, sodass man sich die Charaktere äußerlich kaum vorstellen muss. Allerdings macht man sich ja trotzdem noch seine Vorstellungen. Wohingegen ich genau sagen kann, dass das Mädchen in der Mitte, das auch im Vordergrund und Fokus steht, Valor ist. Das beweist auch die Armbrust im unteren Bildrand, denn Valor ist ein Lehrling ihrer Mutter, die Jägerin ist, dementsprechend eine fantastische Schützin. Die Berge und der Himmel, in den hoffnungsvollen, hellen Farben, sollen wohl für die versuchte Flucht stehen, die Valor mit ihrer Schwester ausheckt. Was es mit dem Mädchenkopf hinter Valor auf sich hat, kann ich allerdings selbst nicht so ganz beschreiben, nicht ohne etwas Vorzeitiges zu verraten jedenfalls. Zum Inhalt: Valors Plan ist geglückt, als sie nach dem Anschlag auf Prinz Anatol von Demidova in das berüchtigte Gefängnis Tyur’ma gebracht wird. Hier ist ihre Zwillingsschwester Sasha eingesperrt, die des Diebstahls an der Spieluhr bezichtigt wird, die Prinzessin Anastasia von einem anderen Königreich erlangt hat und auf die sie bis dato aufpassen musste. Deshalb wurde auch ein großer Wirbel um die Vermisstenanzeige der Spieluhr gemacht und deshalb wurde Sasha auch, ohne dass man ihr richtig zugehört hat, abgeführt. Valor riskiert deswegen ihre Freiheit und ihr Leben, um ihre Schwester zu befreien. Doch niemandem ist je die Flucht aus Tyur’ma gelungen, also was sollte sie von den anderen Insassen unterscheiden? Meine Meinung: Zum einen hat mich die Geschichte um die zwei Schwestern wahnsinnig interessiert und zum anderen war ich wirklich gespannt, wie sie umgesetzt werden würde. Dass einmal die Familie im Vordergrund steht, hat man bei Kinderbüchern ja öfter, was ich wiederum sehr gut finde. Liebesgeschichten hat man in Jugendbüchern schon genug. Valor war mir auch auf Anhieb sympathisch, denn sie ist definitiv keine Alleskönnerin, denn was sie mit Jagdkünsten übertrumpft, macht ihre Schwester Sasha mit Worten wett. Beide Schwestern sind sehr authentisch beschrieben, und zum Ende hin wird der Spieß nochmal komplett umgedreht, sodass selbst Sasha ihre Chance findet, sich zu beweisen; das gefiel mir unglaublich gut. Aber auch das Setting wurde gut erklärt, wenn auch nicht so ausführlich, was in einem Kinderbuch natürlich ist, aber die Welt hatte doch erstaunlich viel Politik in sich. Klar, ist das bei einem Königreich nicht irrelevant, aber mir hat die Mischung aus Action, Spannung und Abenteuer, und dieser Prise Politik doch sehr gut gefallen. Man konnte die Geschichte aufgrund ihrer Schnelllebigkeit und ihrer immer wieder spannenden Wendungen einfach nur genießen und durch die Seiten fliegen, was in einem Kinderbuch gar nicht schlecht ist, denn das macht ein gutes Buch nun einmal aus. Auch die Nebencharaktere, die den beiden Schwestern zur Seite standen, waren recht großzügig ausgearbeitet, obwohl ich mir bei einigen doch mehr Informationen gewünscht hätte. Generell sind doch auch einige Fragen zum Ende hin offen geblieben, was dafür sprechen könnte, dass da eventuell noch weitaus mehr kommen könnte. Also ist diese Geschichte dem Anschein nach noch nicht zu ende. Ob ich das gut oder schlecht finde, sei so dahingestellt, aber gut unterhalten, konnte mich die Geschichte um Valor und ihrer Schwester allemal. Sie ist zwar schon eher für jüngere geschrieben, aber durch die Fantasiewelt, denke ich, werden Groß und Klein gleichermaßen daran Freude haben. Fazit: Da ich dieses Buch im Rahmen einer Buchverlosung gewonnen habe, bedanke ich mich dafür noch einmal herzlich. Es hat mir wirklich sehr viel Freude gemacht, es zu lesen. Gleichzeitig war es auch eine Bereicherung, denn die Spannung und die Wendungen in diesem Kinderbuch sind besser als in manch´ einem Jugendbuch, auch wenn sie schon eher klischeehaft sind und einige Logikfehler dadurch passieren. Auch der Schreibstil, oder in diesem Fall die Übersetzung, wies einige Lücken in Form von Rechtschreib- und Grammatikfehlern auf, die einem so im Lesefluss aber auch nicht stören sollten, zumindest erging es mir so. Aufgefallen sind sie mir trotzdem und deshalb hier nur eben die kurze Erwähnung. Ansonsten ist dieses Lesevergnügen von „Valor – Die Verschwörung im Königreich“ von Ruth Lauren mir 4 Sterne wert, was für ein Erstlingswerk ja schon mehr als gut ist. Prisoner of Ice and Snow starts with Valour preparing to act on her secret plan- we have no idea what she is doing or why until it happens. This draws us into her story. When we discover Valour's plan we realise she hasn't thought it through particularly well, which adds tension and makes the reader root for her to suceed throughout the book. After a while I found Valour a difficult character to like: she acts without thinking about the consequences of her actions on others, makes silly decisio Prisoner of Ice and Snow starts with Valour preparing to act on her secret plan- we have no idea what she is doing or why until it happens. This draws us into her story. When we discover Valour's plan we realise she hasn't thought it through particularly well, which adds tension and makes the reader root for her to suceed throughout the book. After a while I found Valour a difficult character to like: she acts without thinking about the consequences of her actions on others, makes silly decisions, and jumps to conclusions quickly with little evidence. She switched allegiances so quickly at points that it made my head spin and I struggled to follow her thought processes. I admired her determination and loyalty to her sister and felt invested in their safety, but otherwise found Valour very frustrating. It's impossible to know which other characters can be trusted in the novel: we kmow very little about them and their motivations, and because of this I found it hard to relate to any of them or be invested in what happened to them. 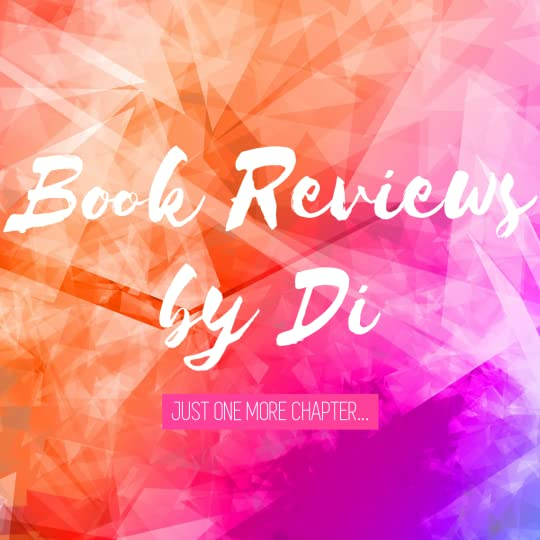 Prisoner of Ice and Snow is very much a plot-driven novel with a swift pace that keeps the reader's interest, although at times it felt a little clumsy and I found some of the 'twists' to be very predictable. The descriptions of the scenery are beautiful and contrast starkly with the horror of the actions in the book. Personally, I'd have liked a little more characterisation: I wanted to know what motivated the characters and how they came to be where they are. Despite being warned not to make friends or to trust anybody Valor soon has a merry band of cohorts. Feliks, the street urchin caught up in her arrest, Sasha, her sister, and three inmates of the prison, Katia, Natalia, and Nicolai. Together they learn that Sasha just might be innocent, that someone is plotting against the throne, and that they absolutely have to break out of prison. That might be easier said than done, no matter how determined Valor is. Warden Kirov seems to appear at the most inopportune moments, buildings are mysteriously set on fire, and cruel punishments are handed out to the sisters at the (im)perfect time and thwart their attempts. To find out if they escape you'll have to read the book but I thoroughly enjoyed the first installment of this Russian-inspired fantasy. It says suitable for middle-grade readers but to be honest, I would say it's at the younger end of YA. The characters obviously all have their own stories to tell but this book is the story of Valor and Sasha so there are only hints at the other children's lives before Tyur'ma. This is one FIERCE Middle Grade book, and I am hopelessly in love with it. I was intrigued by the cover more than anything else, and I’m so glad that I was because this is a gem of an MG book – perfect for adventure and fantasy loving readers of (in my opinion) all ages. It’s not a rip-off of Frozen. I was really worried that it might be when I saw that it was being billed as “equal parts prison break and Frozen” but it’s definitely its own [uber original] thing. I’m actually kind of confused as This is one FIERCE Middle Grade book, and I am hopelessly in love with it. It’s not a rip-off of Frozen. I was really worried that it might be when I saw that it was being billed as “equal parts prison break and Frozen” but it’s definitely its own [uber original] thing. I’m actually kind of confused as to why this was even compared to Frozen in the first place. I mean, yes, it takes place in a world athat appears to be heavily dominated by winter, but other than that these two stories couldn’t be more different. Valor is a BA heroine who doesn’t take crap from anybody. I loved Valor straight from the get-go. She’s strong and independent, and she basically does the right thing no matter what [or who] stands in her way. After all, this is a girl willing to get herself thrown into a maximum-security work camp/prison just to rescue her sister who has been wrongly convicted of a crime and given a life sentence. That’s pretty gutsy, and that’s really only the beginning. Valor does plenty of other crazy things in the name of justice. She’s basically the coolest vigilante ever. Friendship and Sibling Bonds take center stage. It’s always refreshing to find an awesome series (especially a fantasy series) that isn’t too focused on romance. This is a very plot-driven book, and I loved that the relationships that really matter are between Valor and her sister and their new group of friends. They look out for each other no matter what, and I thought that the relationships were very well-written and believable. The setting is freaking cool (and I don’t just mean that literally). Demidova is like a winter wonderland… until you end up at a forced labor camp where that winter wonderland can [and will] be used against you at every turn. The setting helps build up the suspense and turns this into a real breath-taking adventure. I was on the edge of my seat waiting to see if they would escape. Basically this story is a heist + prison break + friendship + mystery novel all rolled into one. It’s such a weird combination but it works like a charm. You will be biting your nails to see if they can beat the ticking clock and save themselves (and the kingdom) before it’s too late. Find me and my reviews on www.thebookshire.com and on instagram. This was such a thrilling read with high stakes (both personal and societal) from the outset, and as a consequence had me zipping through to find out what happens. 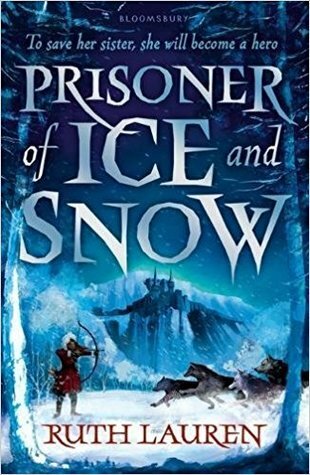 Prisoner of Ice and Snow was like a cross between Prison Break, Six of Crows, Nevernight, and the first Throne of Glass, with a strong central sisterly relationship (a la Frozen), but perhaps aimed at a slightly younger audience. Valor is such an awesome character. The book is told from her first person perspective. She’s a 13 year old willing to risk her own freedom for her twin but good enough to not walk over other people. I will admit to being a little ahead of her at times but I believe that was purposeful and for me doesn’t usually detract from enjoyment of a story. I really liked that although the main action was the attempted escape from the prison Tyur’ma that there was intrigue outside of this. If Valor’s sister Sasha is innocent of the crime she was said to commit who did it and why? The wider cast of characters were all interesting in their own right and I’m glad to hear a sequel is coming so hopefully we get to know even more about them and the world in which they live. Thanks to Faye and Bloomsbury for my copy of the book for the purpose of this honest review. An enthralling read full of adventure and intrigue. I loved the main character and the frozen setting. Could not put down!